Looking real good Kenny!!! Can not wait to see it when you are finished. 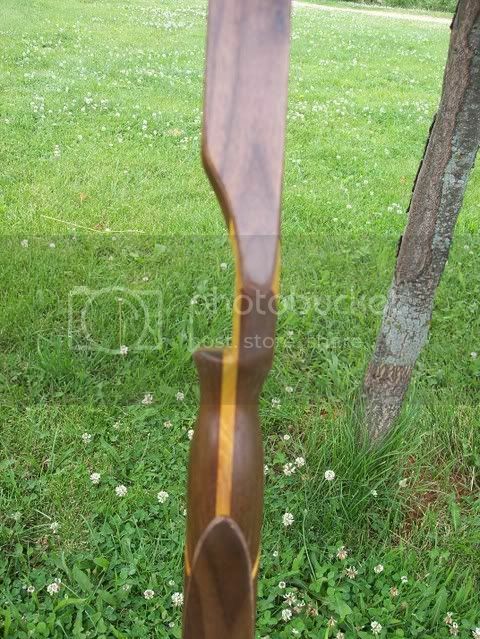 Seriously,I shoot a plain handle like that waay better than I do the bow I built last year for me,with finger groove,thumbrest,recurve handle and all that!! Not knockin that stuff,thats just me! 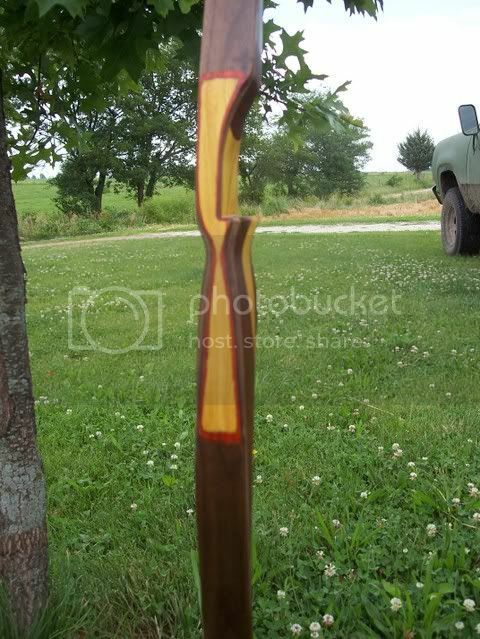 Stop shooting and get some finish on that thing so you can start another. BTW, what do you like for finish? I am trying to find a local source for catalyzed varnish or epoxy. In California it is not always easy to get the "good stuff". 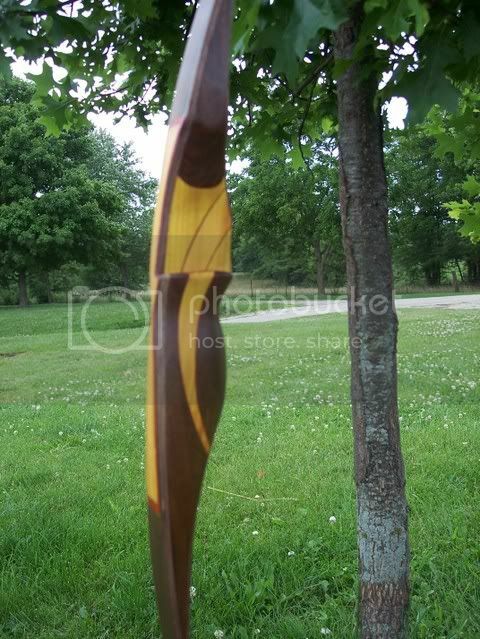 My next one is on the drawing board but I have not made up my mind on limb wood to go with Bocote. It is looking very nice, your son has a good eye. Kevin,Ive been using Minwax Helmsman spar urethane, I think thats all of the name!! I'm testing grips on his so I can build my next one!! 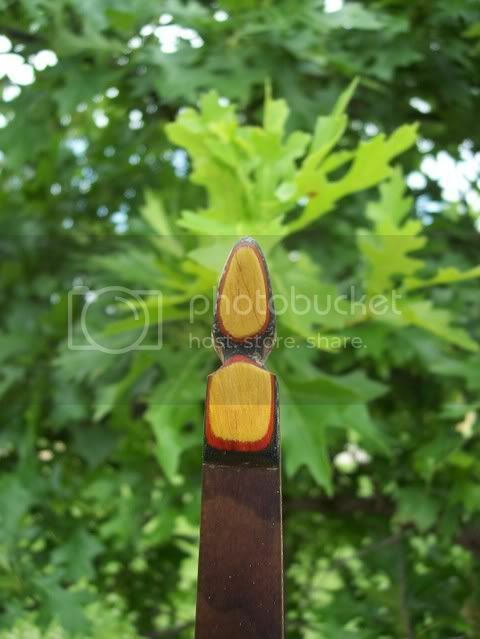 With bocote..........osage! I wihs I cuold tipe. Heck! I wihs I kuold speell! Wellll....I'm gettin closer,shot a coat of finish today. Went with a lite coat cause it rained this mornin(don't look at the dry spots),it don't look half bad if I do say so myself! That is absolutely beautiful Kenny. You should make one for me! That is a very impressive bow, I love seeing the build alongs progress. Thanks for sharing.